Started in 2016 as a unique opportunity for attendees to network and share their passion for UX in gaming, Game UX Summit ’17 was held in Toronto on October 4-6, and hosted by Ubisoft Toronto. Comprised of three full days of talks, panels, and intensive masterclasses, Game UX Summit travels annually to a new city and is hosted by a different Studio. This year’s summit hosted over 20 speakers and 350 attendees from all over the world, with industry experts like keynote speakers Raph Koster, veteran game designer and author of A Theory of Fun for Game Design and Emily Greer, co-founder, and CEO of Kongregate. Speakers from across the industry shared their knowledge, best practice and methodologies by covering everything from game-focused UX challenges to the future of the Game UX industry. To cap off the summit, those who opted to dive deeper into the current trends of Game UX attended Masterclasses hosted at the Ubisoft Toronto Studio. UX as a professional discipline within game-making has grown exponentially over the last 10 years. 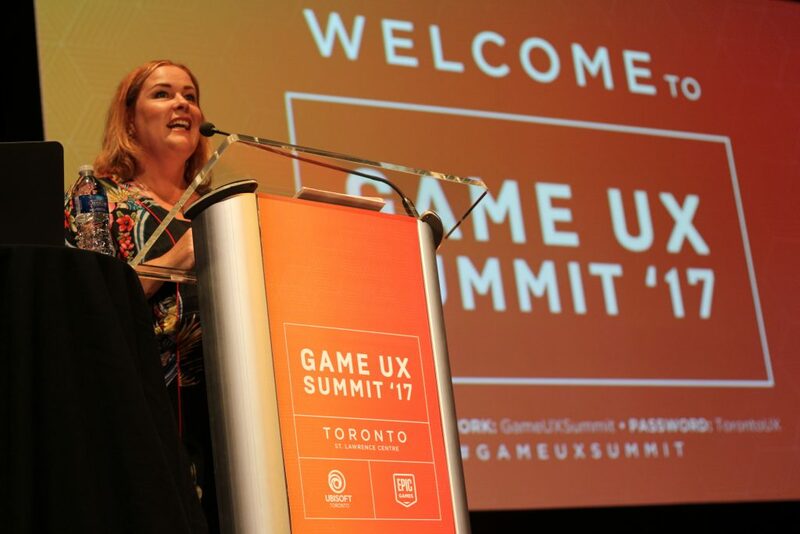 Encouraging new perspectives and sparking debates within the games industry is a priority for Ubisoft Toronto and the Game UX Summit ’17 was successful at providing attendees with the opportunity to do just that. Explore the talks and panels below, and follow @GameUX_Summit on Twitter for news and updates. Previous Post Congratulations to Reptoid Games on a Successful Kickstarter! Next Post We’re One of Canada’s Top 100 Employers for a 3rd Year!